Still not yet spring, there's still snow on the ground. But the surest way to tell brighter warmer days are coming.... SUN!!! I had to bust mine out of hibernation this weekend!!!! After a month or three straight with gray days, limited amounts of super bright sun it's welcome sign of the days ahead! <3 the white Stella McCartney's!! 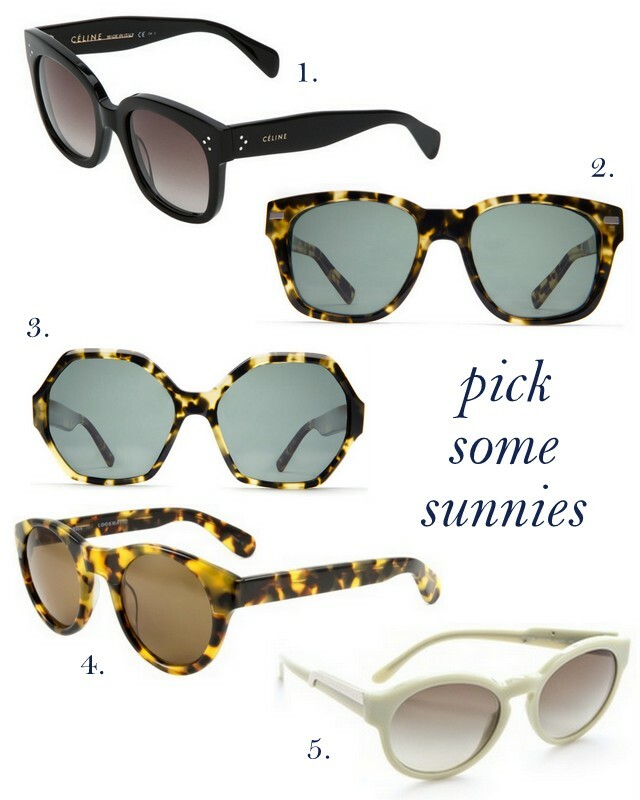 I am obsessed with the Celine sunnies but ya can't beat style for the price of Warby Parkers! Tortoise shell is so chic! I LOVE the Warby Parker ones! Love all the sunglasses!! Going to Morocco at the end of the week and these have definitely given me some inspiration!! Great picks, especially love the Warby Parker ones!